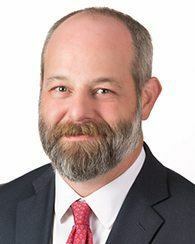 With more than 20 years of public accounting experience, Bert couples his expertise with a focus on client service for his business and individual tax clients. Focused primarily on the tax and accounting needs of businesses and business owners in the Tallahassee area, his long-standing community roots provide a valuable perspective. Bert has extensive industry knowledge in construction, professional services, and consumer products – including automobile dealerships. He provides buy-side representation, client accounting outsourcing services, consulting, and tax compliance and planning to his clients. Additionally, Bert is a member of the American Institute of Certified Public Accountants (AICPA) and the Florida Institute of Certified Public Accountants (FICPA). Bert received his Bachelor’s Degree from Florida State University.